Former Arsenal player, Liverpool’s Alex Oxlade-Chamberlain get his first Liverpool start of the season in the CARABAO CUP tonight. Chamberlain previous appearances for Liverpool has been as a sub against Man City in a 5-0 demolition of the Anfield outfit, followed by a cameo against Sevilla in the Champions League and Burnley in the Premier League, both of which ended in draws. “If he starts in a front three, I don’t want to always see him on one wing or something like this. If he plays in the No.8, I don’t want to see him fixed in this position. It’s football; you have to defend in one position and you have to be very flexible in all the other situations. That’s what I expect from him in the long-term. Chamberlain left Arsenal in a £40m deadline week transfer after much speculation on his future at Arsenal and refusal to sign a new contract. He turned down a move to Chelsea because of fears of being played out of his preferred position in the midfield. 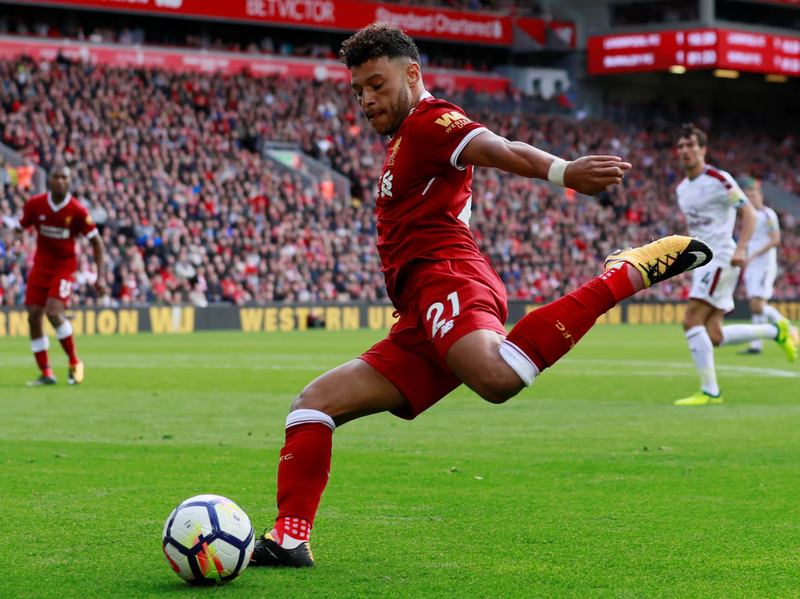 In whatever position Klopp plans for Chamberlain, it does not appear to be in a playmaking role, as he is expected to be more defensively minded going by his pre-match statement.